who love to be outdoors. 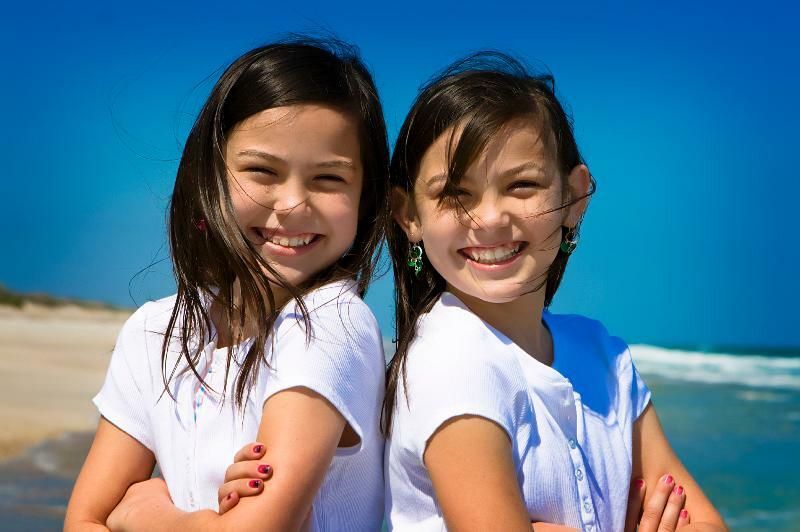 Both girls were wearing CRT® lenses for approximately two years when they became new patients in my practice. Gloria and Angela complained of blurry vision and had a difficult time seeing the board at school. When asked "what do you like most about your CRT lenses," the response echoed what I hear every day: "Not having to wear lenses during the day!" 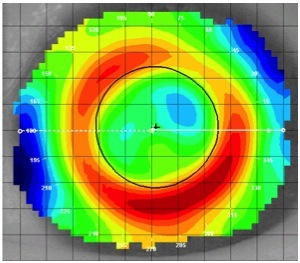 Corneal topography revealed that both girls had been wearing CRT lenses that were too shallow in sagittal depth, which resulted in lenses that were decentering in a superior position and inducing a lot of astigmatism. a call from Gloria and Angela's mom. She explained the girls were experiencing rapid nearsighted progression. Because the twins disliked wearing daytime contacts, she scheduled an appointment for the girls to be refit in CRT. Before their visit, I carefully studied the collected data from their previous practitioner and reviewed each case with the CRT consultant at Paragon. Gloria and Angela's mom was correct about their myopic progression, and because Gloria had a higher prescription and her corneas were more irregular than her sister's, I decided to start the fitting process with her. 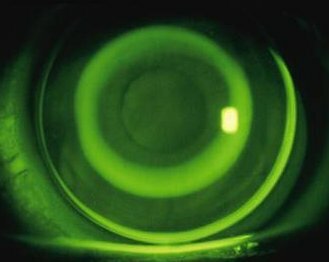 After the lenses settled for a few minutes, I performed a fluorescein pattern evaluation. Both lenses centered well over the pupil and had a nice, even treatment zone of approximately 4mm. 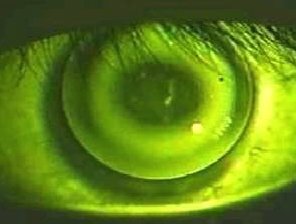 In the Return Zone area, there was a solid, 360-degree band of fluorescein for the central corneal epithelial cells to migrate to, and the edge lift allowed for sufficient tear flow underneath the lens. 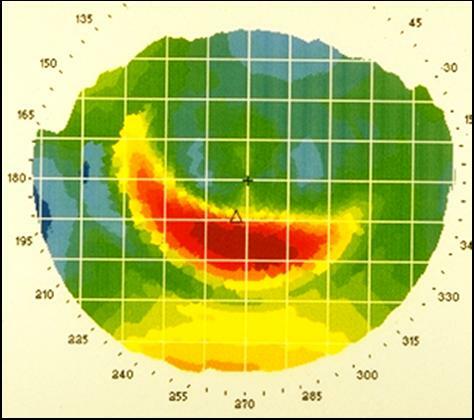 The spherical over-refraction in both eyes was +0.50D, which confirmed I had the correct Base Curve to correct her nearsightedness. Gloria began treatment that evening and on her first morning follow-up visit, her CRT lenses had treated over half of her prescription. At Gloria's one-week follow-up visit, her vision was: OD 20/20 and OS 20/30. At her one-month follow-up visit, both eyes were 20/20. Angela started wearing CRT again and her vision improved to: OD: 20/25 and OD: 20/30 at her one week follow up. One month later, her vision was 20/20 in both eyes. The whole family was very happy and excited that Gloria and Angela could, once again, enjoy the many benefits of CRT. 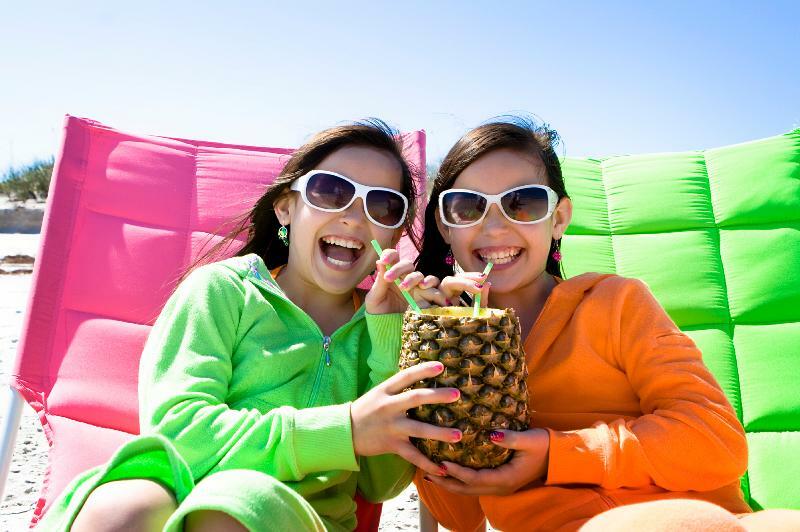 They are most excited about having clear vision all day long, plus the freedom of not wearing glasses or contact lenses while at school. 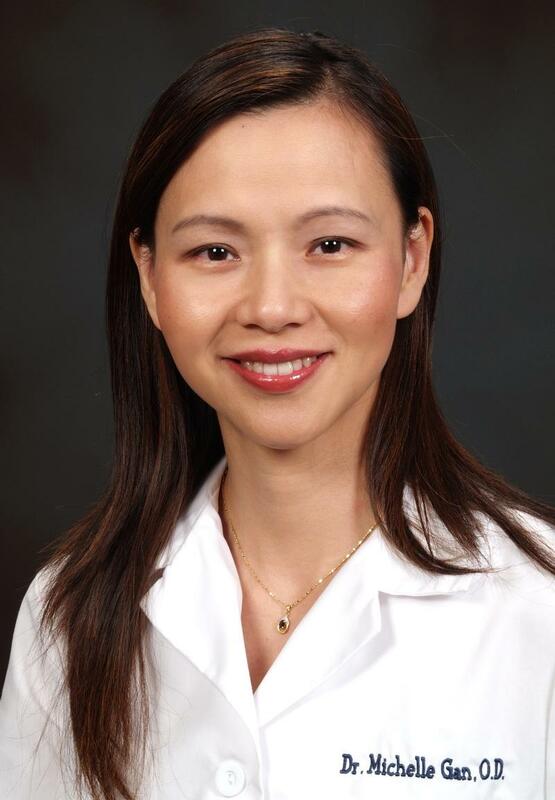 "My practice continues to grow, thanks to the many referrals I receive from satisfied CRT patients!" This email was sent to mgan930@yahoo.com by pfscoggins@aol.com.